In light of the recent Authorize.Net outages and disruptions of payment processing capabilities, we would like to suggest that you consider a back up gateway provider. 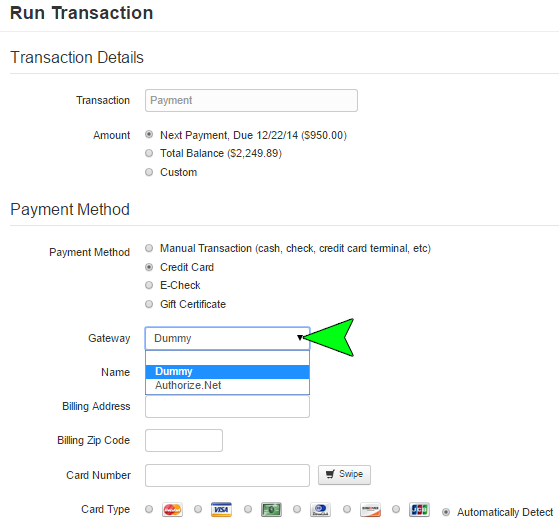 Arctic has the ability to support multiple payment gateways for the same installation. 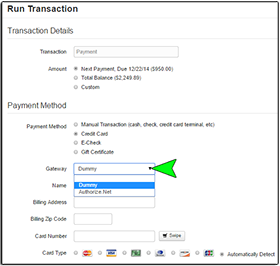 Having multiple payment gateways set up would allow you to select your back up gateway when your primary gateway or “default” gateway is having a service issue ensuring that you can continue to run your businesses smoothly and without hassle to you and your guests. Stripe is a good potential back up gateway provider as they do not have any associated monthly fees, so you would not be paying additional fees to have the safety and security of a secondary payment gateway. However, you could choose from any of the other supported gateway providers. These are Bluepay, Moneris and Payware. Once the back up gateway has been selected click “Save Setting” to save your changes. If you set the back up as the new default gateway be sure you remember to change the default back to your primary once the service issue is resolved. One thing to keep in mind when using your back up gateway, the other gateway providers besides Authorize.net do not offer automatic batching like Authorize.Net does. If you have your Authorize.Net gateway set up to batch credit card transactions automatically, you will have to manually record the transactions processed through your back up gateway to ensure that your End of Day Balance reports correctly reflect all of the business processed through your back up gateway. For more information on recording deposits see Section 13.12 of the Invoices Chapter. The benefits to having a backup gateway provider are that you will be able to seamlessly continue processing payments through Arctic not only via the back end but your online guests will not notice an interruption either. This will keep the experience of your online guests top notch and eliminate the extra work generated by phone calls from customers who are unable to make payments or complete their reservations online. As always if you have any questions or concerns about setting up a back up payment gateway, feel free to contact support and we will be happy to help.